Some of the most profound FJ moments come when two world class musicians sit down for us and talk at length, with no journalists in sight. 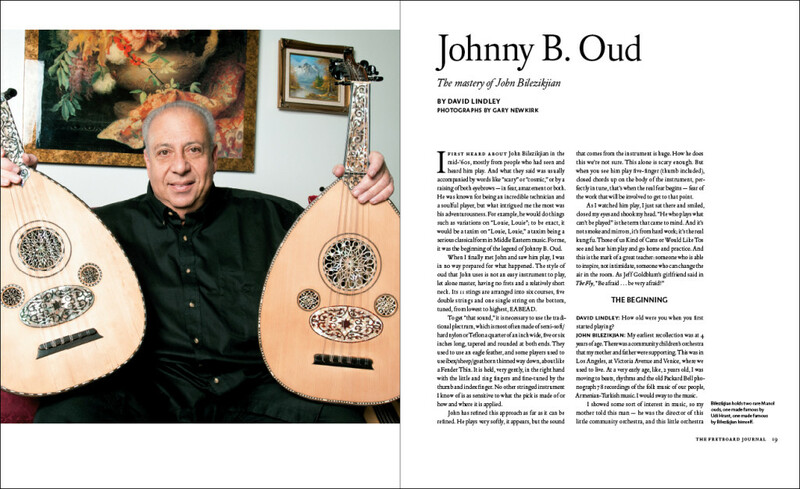 David Lindley’s interview with oud master John Bilezikjian is one such interview. 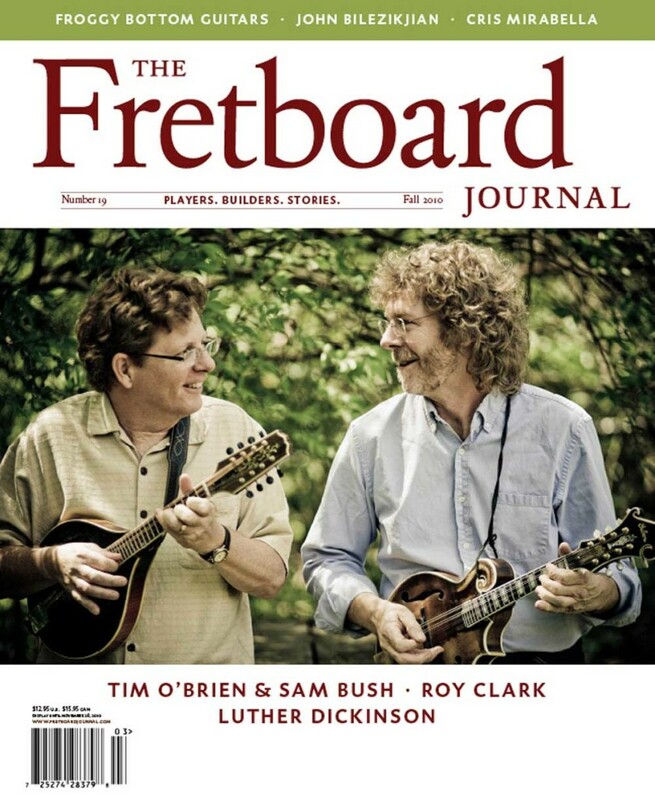 For several hours, these two fretted instrument visionaries swapped stories, talked instruments and, of course, played music. 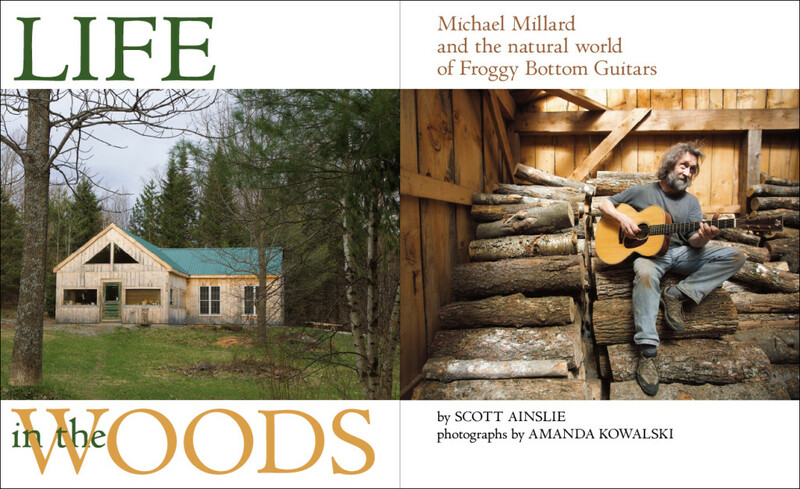 Scott Ainslie tells the story of Michael Millard and the natural world of Froggy Bottom Guitars. 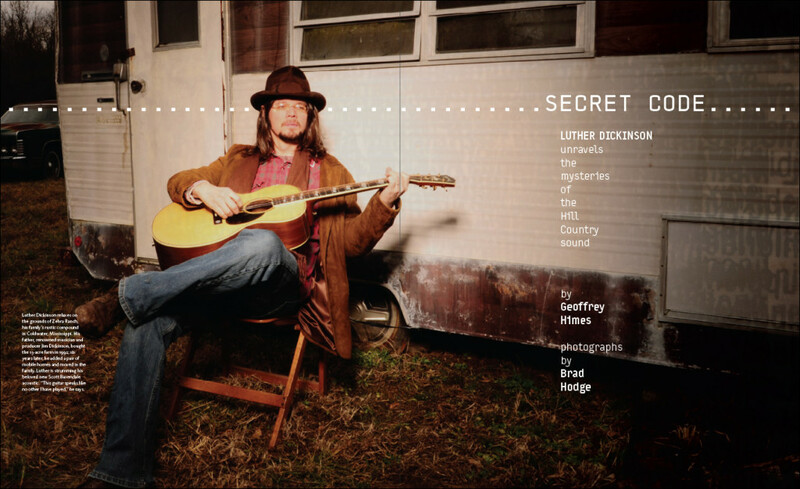 Geoffrey Himes visits with Luther Dickinson, who is unraveling the mysteries of the Hilly Country sound. 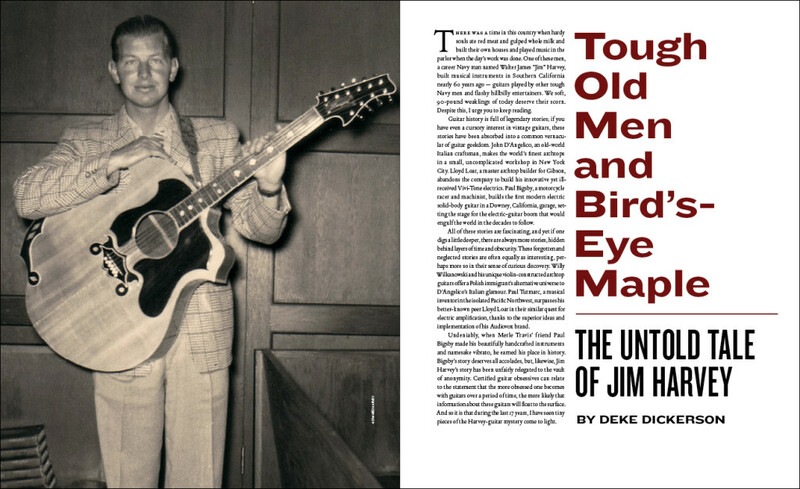 The inimitable Deke Dickerson finds one from the vaults, telling the untold tale of luthier Jim Harvey. 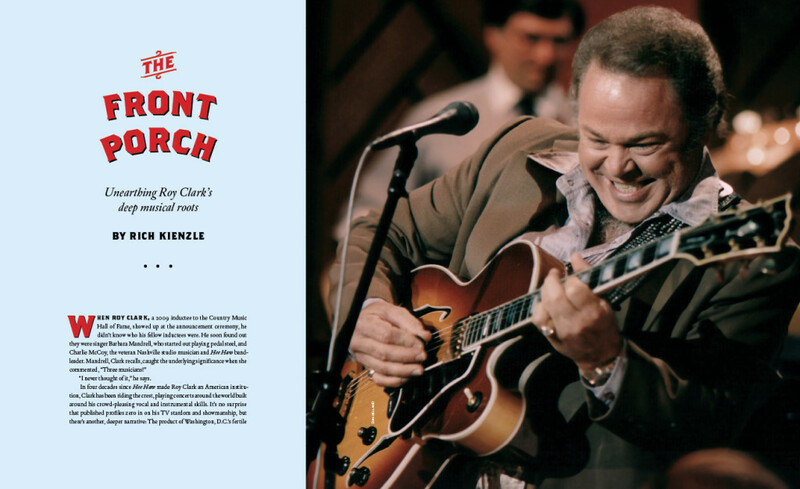 Rich Kienzle profiles country legend, the prodigiously proficient singer and multi-instrumentalist Roy Clark.